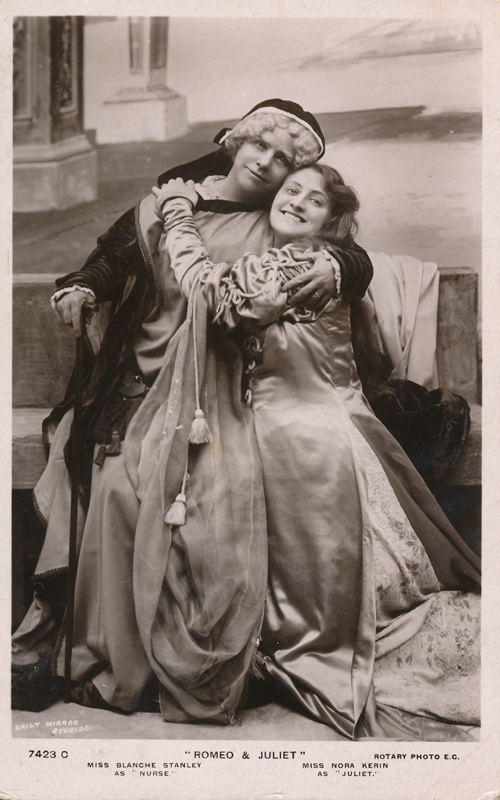 A cousin of actress Julia Neilson, Nora Kerin’s stage debut was in 1899. 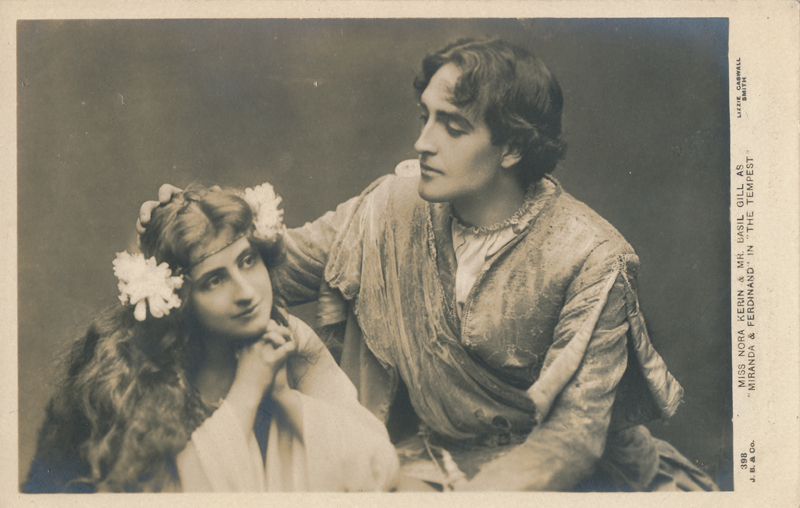 She first appeared in Shakespeare at the Queen’s Theatre, Manchester, as Titania in A Midsummer Night’s Dream, Anne Page in The Merry Wives of Windsor, and Rosalind in As You Like It. 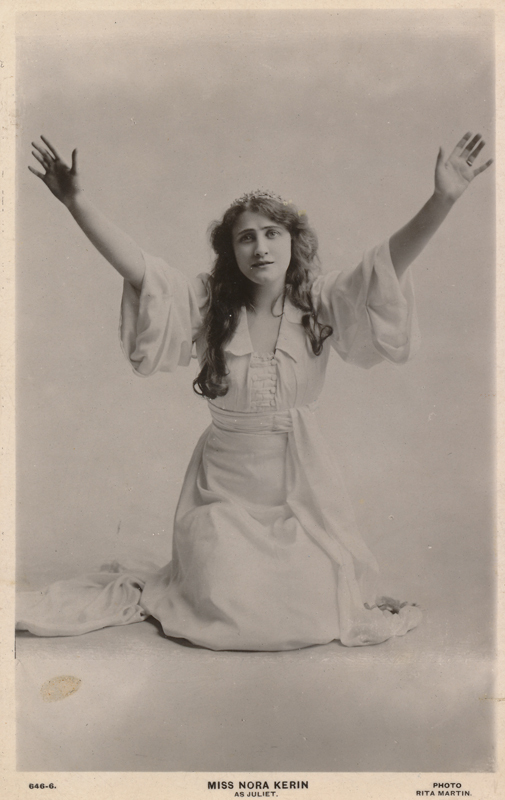 She toured Australia in 1903 playing various parts in the Shakespeare repertory of George Alexander’s company. 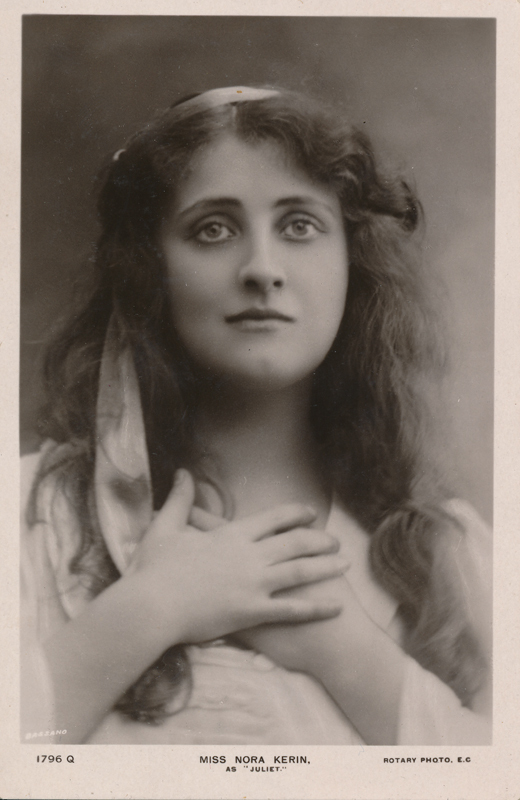 When she returned to England in 1904, she appeared as Miranda in a production of The Tempest at His Majesty’s Theatre. 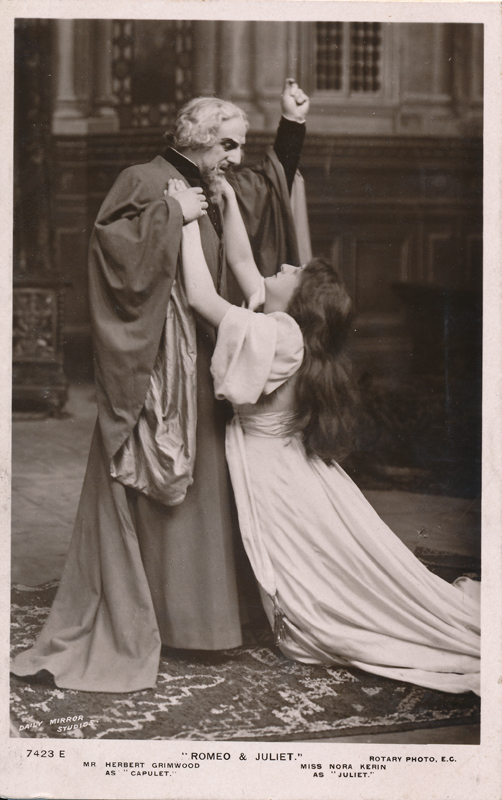 this production is represented in one of the cards below. 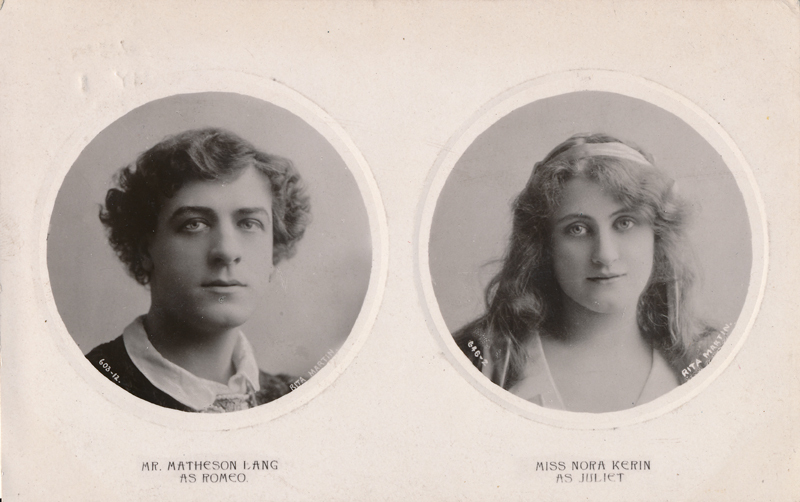 Most the cards here depict her in the role of Juliet in Matheson Lang‘s production of Romeo & Juliet which opened at the Lyceum Theatre, London, on March 14, 1908, and ran for over two months. Her favorite part, as reported in Who Was Who in the Theatre, was Rosalind. 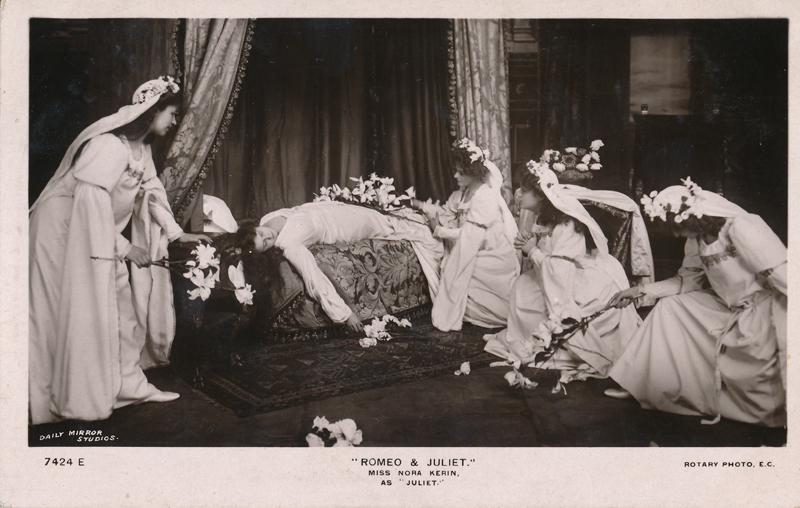 “Oh, Juliet! 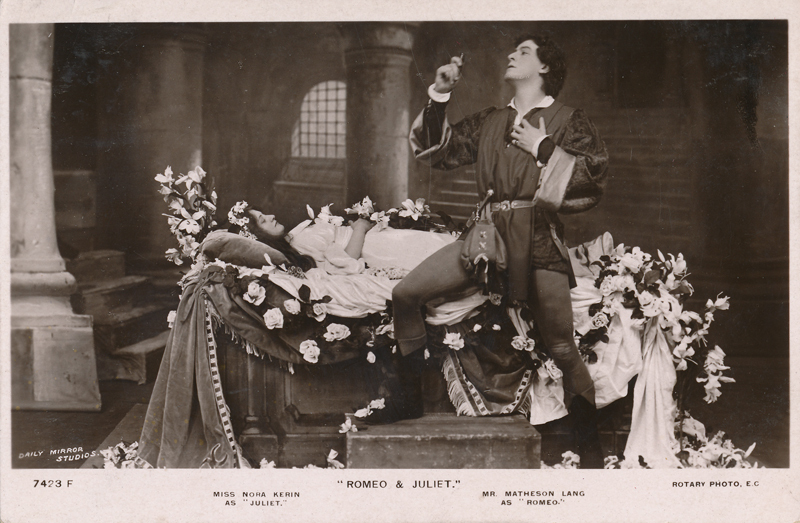 Juliet, wherefore art thou Juliet?” This is, of course, an inversion and a parody; but, seriously, the Juliet of Miss Nora Kerin cannot be taken so. She declaims in the conventional old-fashioned style. She somehow destroys—on the stage—her own personality, and instead of looking the pink of charm and youth (as she is when “taking a call”) she manages to conceal both. 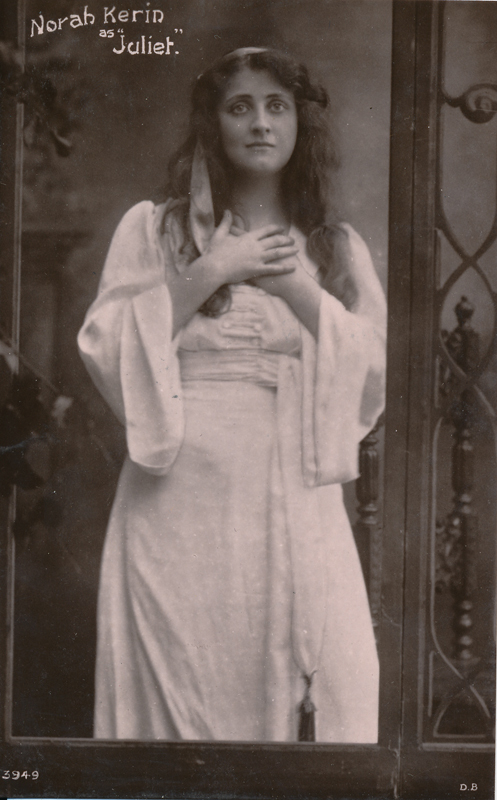 Many of her lines were badly spoken, falsely intonated and punctuated. She had moments—melodramatic outbursts—but she is not the personality—she has not the witching simplicity of the real Juliet. 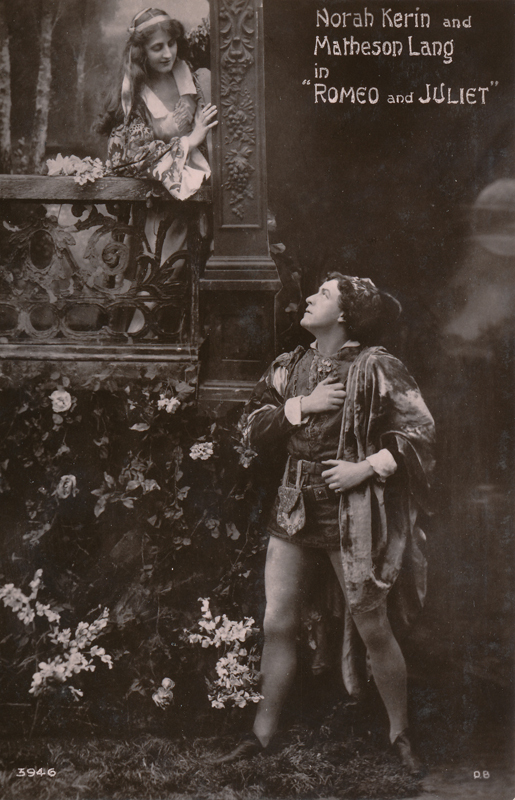 Mr. Matheson Lang as Romeo was at times quite admirable. He looks a Romeo; handsome, virile, impetuous, perfervid. His voice is good, he spoke his lines with intelligence and charm. By and by he will improve; put more power, eloquence, freedom into his interpretation; be quieter and (I hope) not always enter and quit the scene on the run. But he gave a fine performance and was greatly appreciated. 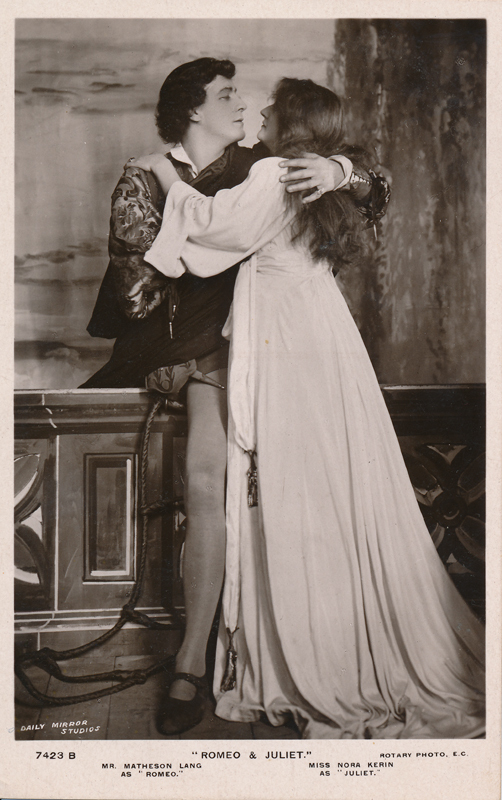 Mr. Eric Mayne played with fine brio as Mercutio, and brought off one or two very successful things, notably a realistic death scene. 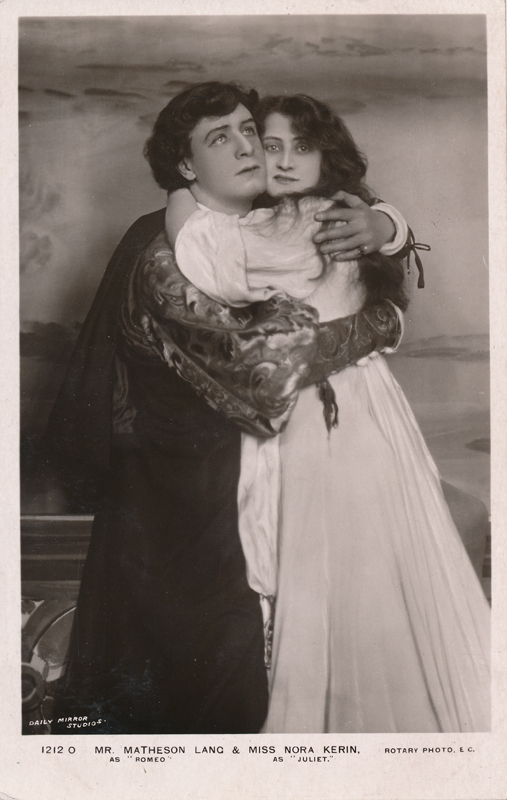 Miss Blanche Stanley played the Nurse up to the full limit of comedy, and “got her laughter right enough,” and Mr. Halliwell Hobbes did the same with Tybalt. One thing remains to be said. The fights are almost Sicilian in their realism. On the whole, Romeo up to date is quite a good thing.